You will, either alone or with one partner, create a children’s picture book. The story for your book is up to you, but it should have a compelling plot and a positive theme. 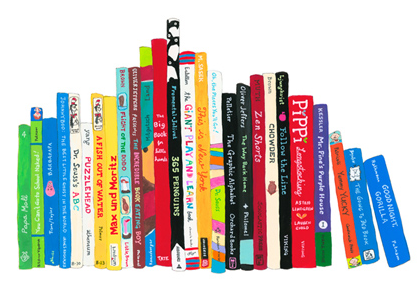 Read numerous picture books, then select two for analysis of all of their major features. Fill out Children’s Book Analysis (see link above) for the two books you choose. You should fill out The goal is to discover underlying concepts, themes, techniques, trends, etc. that you can harness yourself and apply to your own project in a unique way. Synthesize and draw conclusions through discussion and from your OWN findings found in the previous analysis sheets. You fill out Information Synthesis (see link above). You will be surprised to find out: trends; a secret formula; general rules, etc., all of which provide “guidelines” for you as you move forward on this journey. You will also learn from your classmates. Plan out your ideas using the handout "Children's Book Planning Packet"
Strategize, plan, and lay out the entire book. Further strategize and plan your lay out; create a template to follow as you create your actual book.